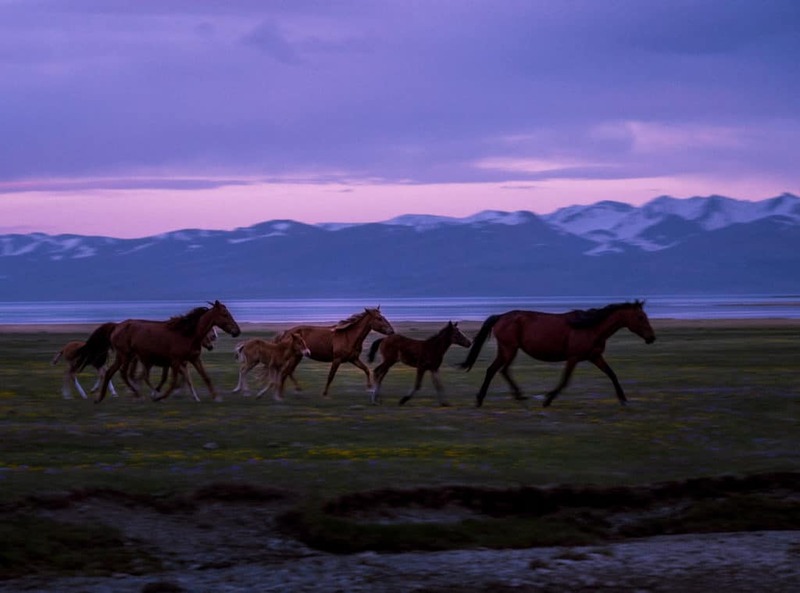 This article explains in detail how to organize a horse trek to lake Song Kol with practical information on what to bring, which companies to contact and where to stay in Song Kol. It also gives you an itinerary and explains exactly what you should expect on a horseback trip to the lake. Lake Song Kol is the highlight of any trip to Kyrgyzstan. 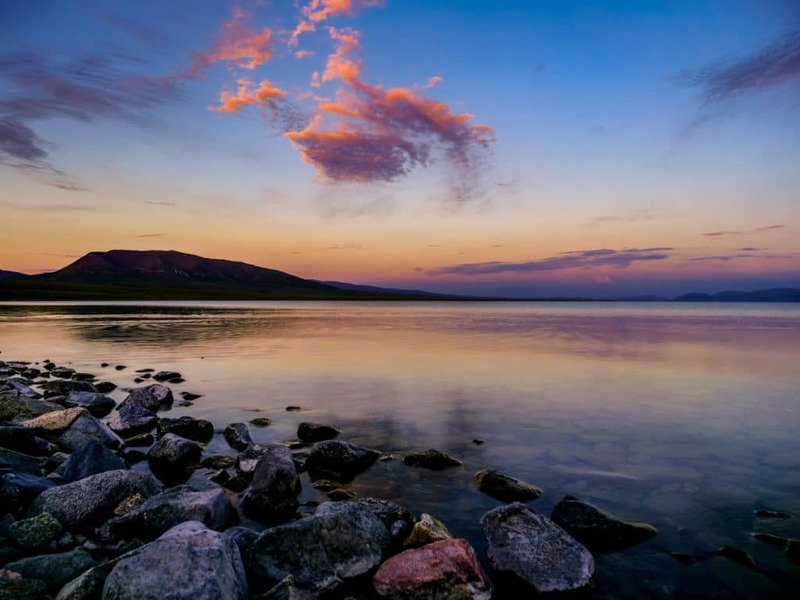 If there is one place that you should visit during your trip to this Central-Asian country, it’s this lake. You may ask why. Well, let’s start with just how beautiful the lake is. It’s really hard for me to describe how stunning it is. I loved it from the first moment I walked on its shores! There is a beautiful peace that surrounds the water and the hills all around it. The landscape there is particularly special with the yurts scattered here and there. It’s not an easy place to access but the more challenging it is to reach a destination, the more rewarding it will be. This is exactly the case with Song Kol Lake. I went there for the first time with my brother after a long horseback trek through mountain passes covered in snow. Getting there was relatively challenging. We were attempting to reach this lake at the hardest time of the year. When we arrived, we were left breathless by the beauty of the surrounding mountains and by how untouched the region around the lake was! The challenge of reaching this lake by horse in winter was totally worth it! Watch this video to see how much of an adventure it was to reach this beautiful lake in winter. Kyrgyzstan is a land of horses and I think no trip to the country would be quite complete without a horse trek to lake Song Kol. This feels like the embodiment of everything Kyrgyzstan has to offer. It’s possible to reach this lake by horse almost throughout the whole year and in this article, I’ll tell you how to organize your own trip there. If you would be interested in reaching the lake on foot, we also explain how to hike there from the small town of Kyzart here. We also have a small article in which we explain how to reach the lake by public transport. Planning on Traveling to Kyrgyzstan soon? 1. 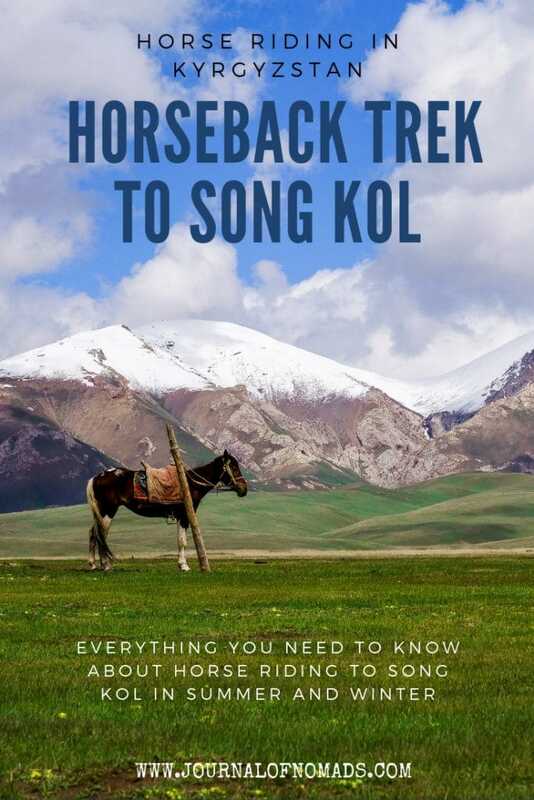 Why should you go on a horse trek to Song Kol? Do people in Kyrgyzstan speak English? Is it safe to ride a horse to Song Kol? 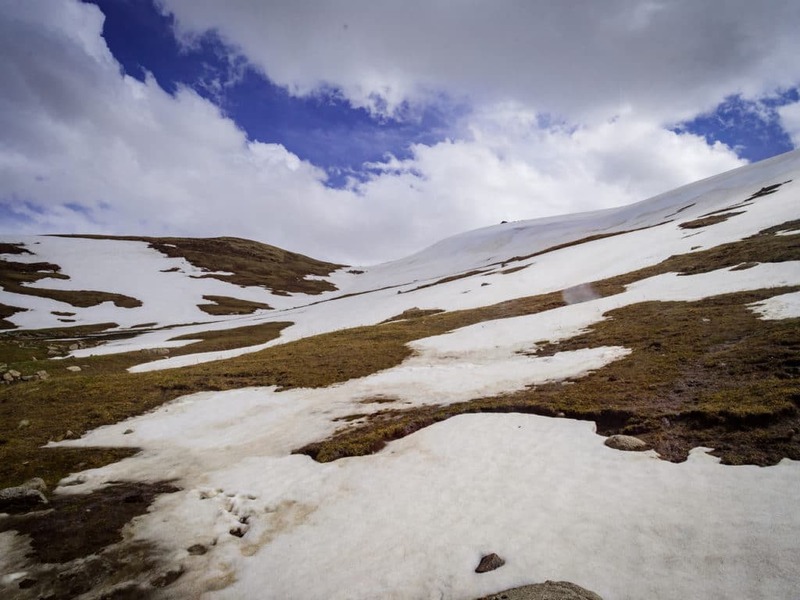 What kind of weather should you expect in the mountains around Song Kol? 3. How long does it take to reach lake Song Kol by horse? 4. How much does a horse trek to Song Kol lake cost? 5. What should you bring on a horse trek to Song Kol? 6. What are reliable guides or agencies organizing horse treks to Song Kol? 7. Where can you start a horse trek to Song Kol? 8. Is it safe to go on a horse trek to Song Kol in winter? 8. Where can you stay around lake Song Kol? Going on horseback to Song Kol is an amazing adventure that offers in a condensed version a lot of the highlights of the country. You’ll ride your horse through the beautiful valleys and meadows that surround the lake and you’ll appreciate the beauty of untouched surroundings. 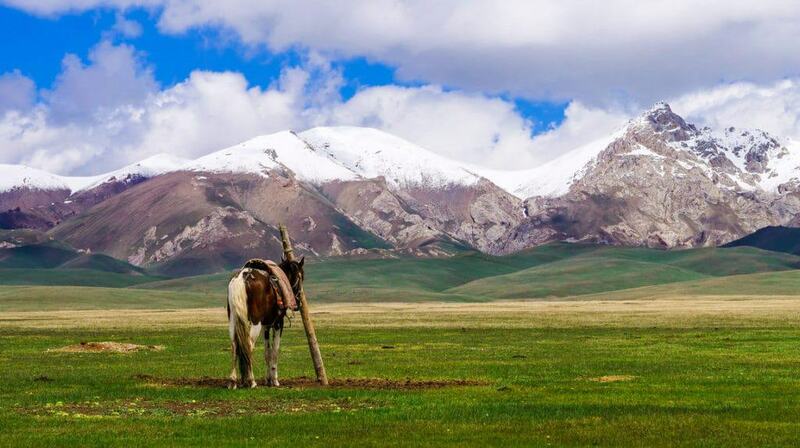 If you start your trek in Kilemche valley, you’ll see herds of hundreds of horses grazing in the hills all around. To reach the lake you will have to cross some very high beautiful mountain passes where you’ll be able to see miles around in every direction. You’ll get to experience the life of the nomads and their culture by sleeping in yurts along the way. If you’re there at the right time of the year you might even be able to taste Kymyz, a Kyrgyz traditional drink made of fermented milk. When you finally arrive at Lake Song Kol, you will be absolutely thrilled! You’ll be able to walk or ride along the lake, meet nomadic shepherds and visit their dwellings. You’ll also get to taste some lovely Kyrgyz dishes. If you’re lucky you will see some teenagers playing the traditional game of Kok Boru in the distance. The locals keep their livestock in the meadows (jailoo) around the lake from June till September and it’s a fantastic sight to see. The whole journey to the lake will give you an unforgettable taste of the wilderness and freedom of the Kyrgyz nomadic life. Traveling in Kyrgyzstan is becoming easier and easier since more guides now speak English. Remember though that a big part of the population still speaks only Kyrgyz and Russian. Learning a few words or expressions in those languages before visiting the country will definitely be handy. If learning languages is not your thing, I would recommend getting your hands on the Lonely Planet Russian phrasebook and dictionary. It’s packed with thousands of sentences that will help you in different situations and scenarios such as ordering food or finding a place to stay. 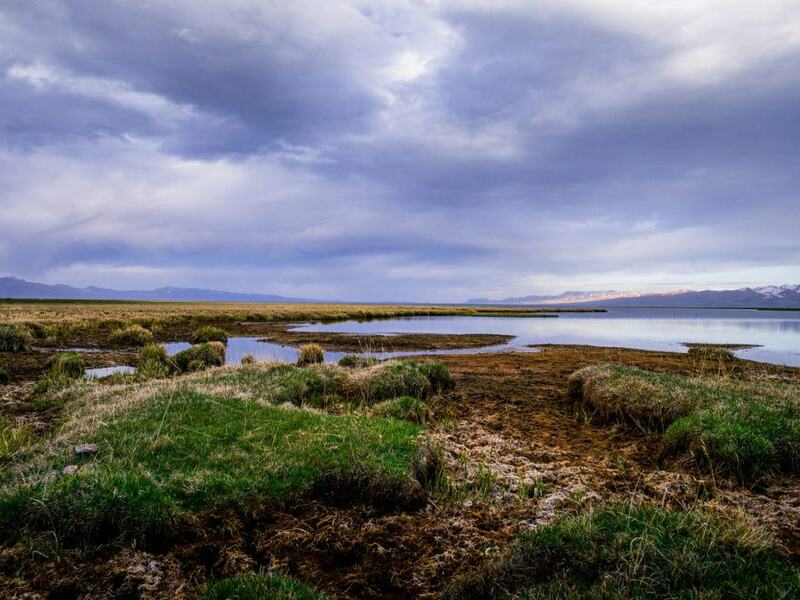 If you would like to travel to Song-Kol lake with a guide that speaks perfect English, I would recommend that you contact our friend Aleksei from Kyrgyz Nomad. He’s an excellent guide, speaks perfect English and he knows the country like the back of his hand. In general, riding a horse to lake Song Kol is probably safer than riding a horse to other remote lakes around the country. However, do remember that horseback riding wherever you are in the world comes with a certain dose of risk. Regardless of your skills as a horse rider, riding a horse in a completely new and different terrain is not the safest thing. Some of the passes that surround the lake are very high and can be quite treacherous at certain times of the year. Therefore it is paramount that you have good travel insurance before going on a horse trip to Kyrgyzstan. The insurance we recommend is World Nomads. It covers almost anything that could virtually happen to you in high mountain altitudes and covers you on treks of up to 6,000 meters. World Nomads is also one of the few policies that won’t require you to be in your home country to purchase, renew or extend your insurance. If your trip happens to go on a little longer than planned, you can easily extend your plan online. The best time to visit Kyrgyzstan is between the months of June and September. The weather around Bishkek is at its best during that time. In the mountains, however, the weather can be very cold at night depending on how high you are. The average temperature during the day can be between 10°C (50°f) and 25°C (77°f). At night the temperature easily goes down to 5°C or 0°C (41°f or 32°f). I’d recommend you bring a good warm sleeping bag and some warm and waterproof clothes regardless of the time of the year you visit the country. Ultimate Packing List for Traveling in Kyrgyzstan! Depending on where you start your journey, riding a horse to Song Kol lake can take anywhere between a day and a whole week. Starting directly from Kilemche valley, for example, takes only a day. If you start from the small village of Kyzart, reaching the lake takes about two days. It’s possible to do a round trip from Kyzart and back in four days of riding. Some people also start the horseback trek in Kochkor and ride all the way to the lake and back as part of a six days adventure. During our 10 days adventure trek that we organize in Kyrgyzstan this summer, we will take two days to ride from Kyzart to Song Kol. We’ll be going through Kilemche valley for two days and after reaching the lake, we’ll take a day to ride back to the village. 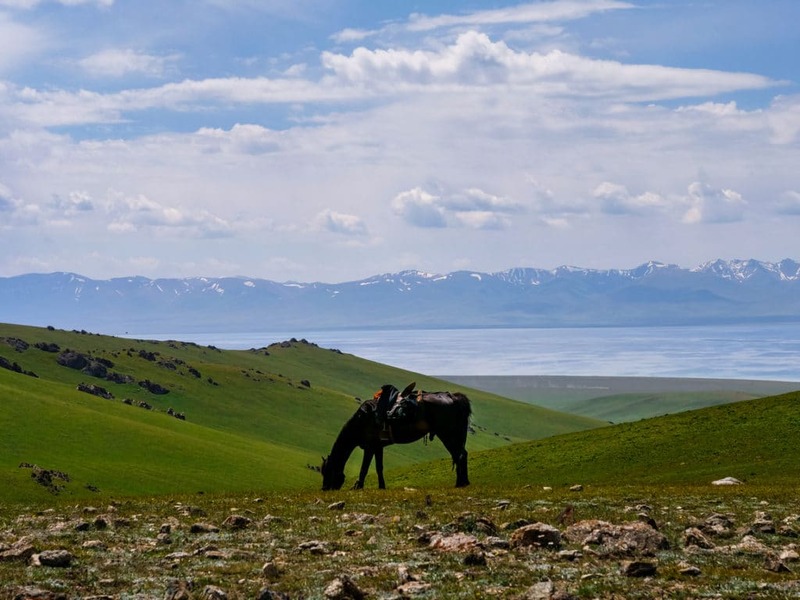 There are a lot of companies in Kyrgyzstan offering horseback treks to Song Kol lake and they all offer very different packages. If you arrange your tour through a CBT, you’ll save a lot of time. However, you might end up paying much more than if you would organize your trek independently as the CBTs in Kyrgyzstan tend to overcharge. An average price they charge for two people renting three horses and a guide, sleeping in yurts with families along the way and having dinner and breakfast there would be around $250 USD. 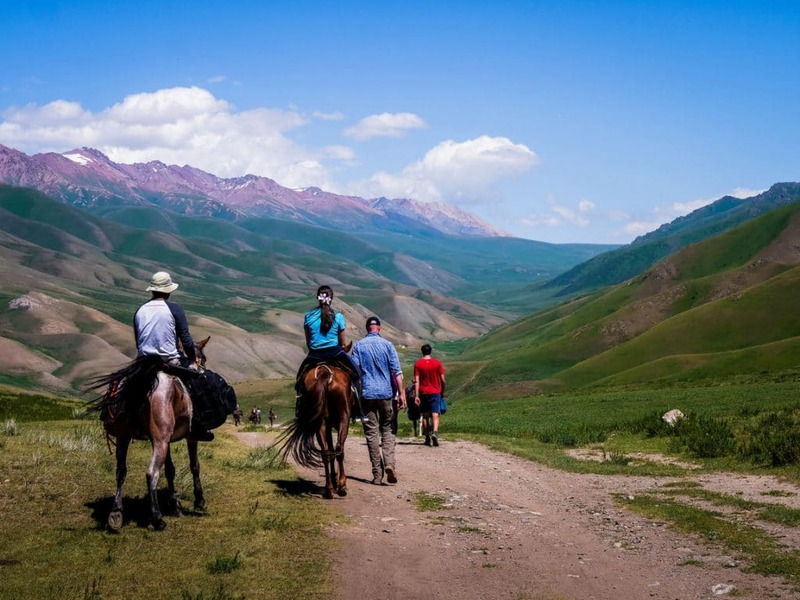 A typical horseback trek like this, for example, could be arranged by contacting Kochkor CBT if you decide to start your trek in Kochkor. 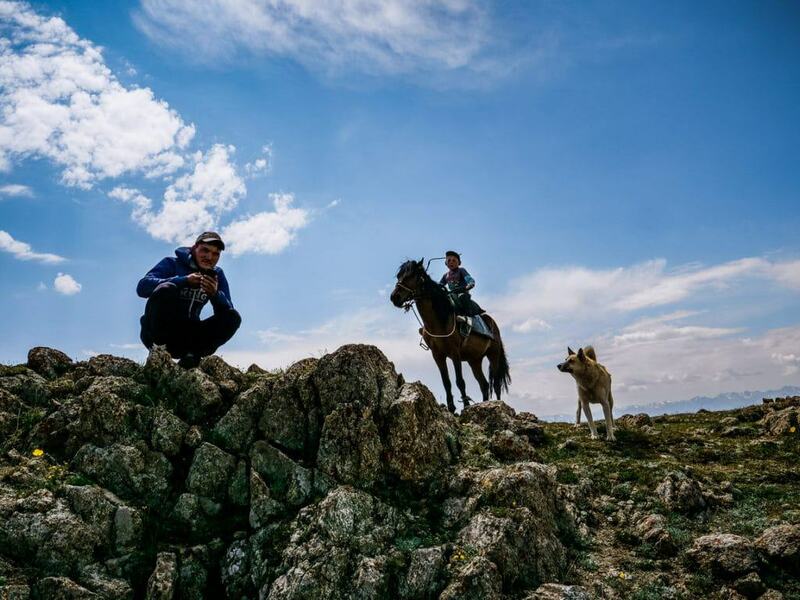 If you want a tour company that doesn’t overcharge to organize a horseback trek to lake Song-Kol for you, I would suggest contacting Aleksei from Kyrgyz Nomad. join our 2019 Adventure Trek. Organizing your own trek to Song Kol lake is relatively easy. On average, renting a horse in Kyrgyzstan will cost around 500 to 600 som per day which is roughly equivalent to 10 USD. If the horses have to be brought to the area where you will start your trek, the prices will tend to go up slightly. Renting the services of an experienced guide costs around 1000 – 1300 som per day ( about 18 to 20 USD). There are many yurt camps spread on the way to the lake, operated by different travel organizers and families. 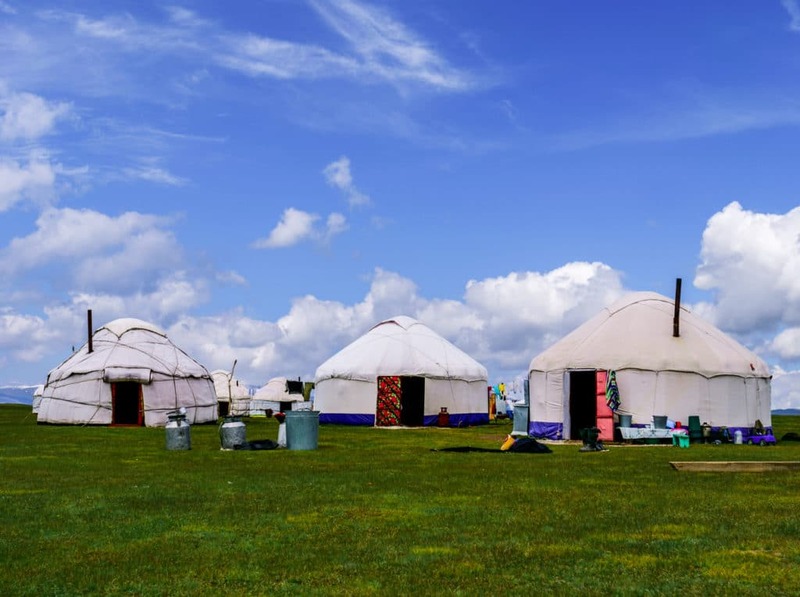 You can arrange your stay in these yurt camps ahead of time or directly with the yurt owners upon arriving there. The average price per night if you arrange directly with the families is around 10 to 12 USD, which includes dinner and breakfast the next day. If you have your own tent, you could camp anywhere you want on the way to Song Kol. 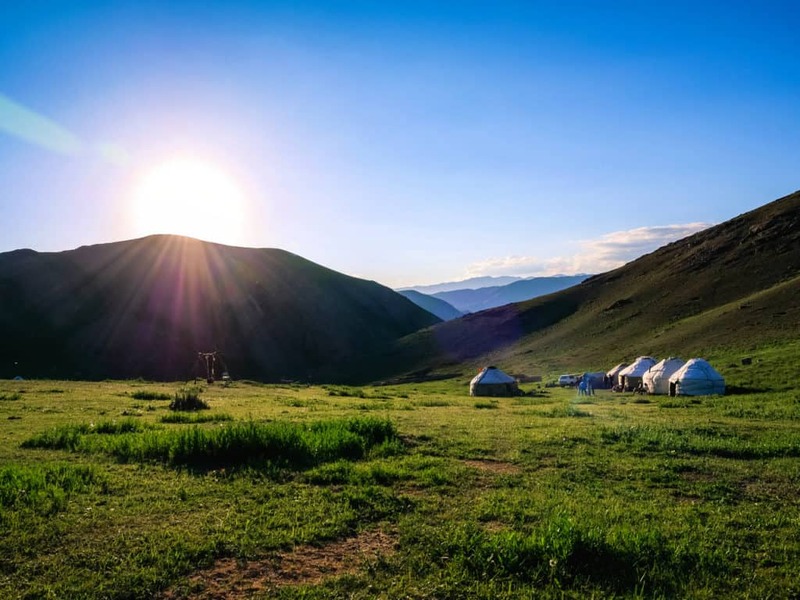 If you want to rent camping equipment before your horseback trek, you could do this through the Trekkers Union of Kyrgyzstan and it usually doesn’t cost much. Have a look at their average costs of renting equipment in this article. If you organize your trek through an agency, you won’t have to bring much. 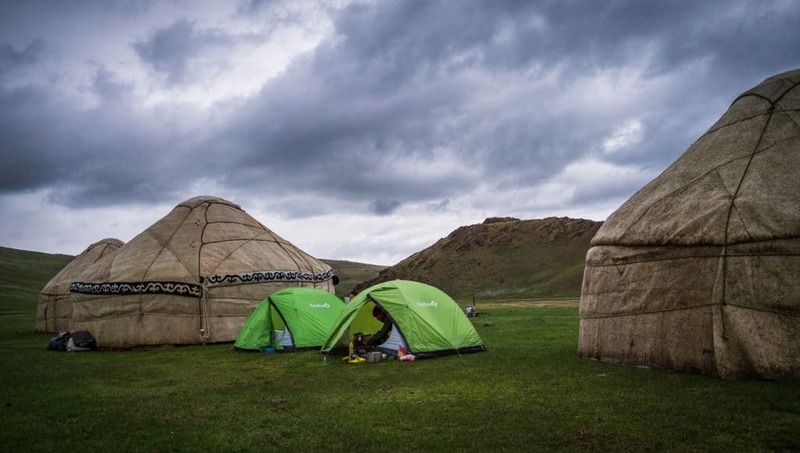 You’ll be sleeping in yurts along the way and eating homemade traditional Kyrgyz food. This means you practically won’t have to carry anything except warm clothes. If you are going independently on a horse trek, it’s important that you pack wisely. 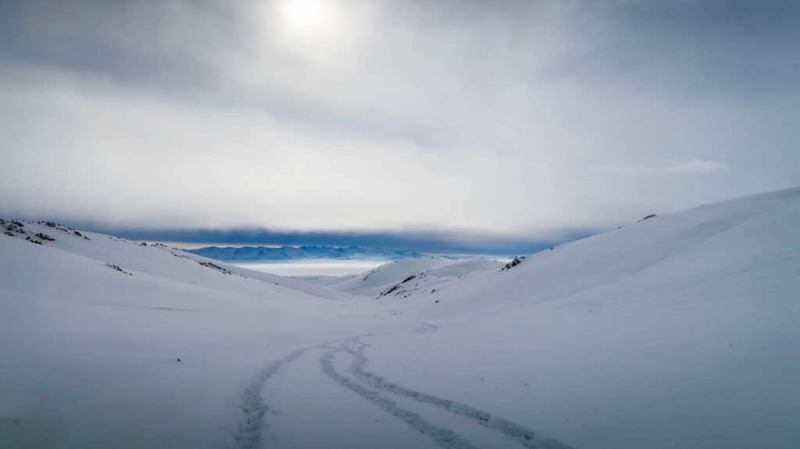 To make sure you’re prepared and you don’t forget anything, Cynthia created a list of everything you need to pack and do when you’re planning a multiple-day trek in Kyrgyzstan. Many different travel agencies and companies organize horse treks to Song Kol. Some guesthouse in Kyzart and Kochkor also rent out horses and may even organize a guided trek to the lake for a modest price. This excellent travel company is one that we have used on various occasions to discover remote and off the beaten path places in Kyrgyzstan. Kyrgyz Nomad is a relatively young company and was founded in 2012. The objective of its founder is to promote ethnic and ecological tourism in Kyrgyzstan. They will show you a different way of traveling away from the crowds. The company organizes completely customizable tours and can provide English speaking guides. If you want to organize a horse riding adventure to Song Kol lake, this is the company I would advise contacting. This organization is responsible for promoting and developing a lot of the adventure tourism and hiking trails around Kyrgyzstan. They are responsible for marking and mapping new trails around the country. They also organize horse riding treks around the country at a very affordable price. 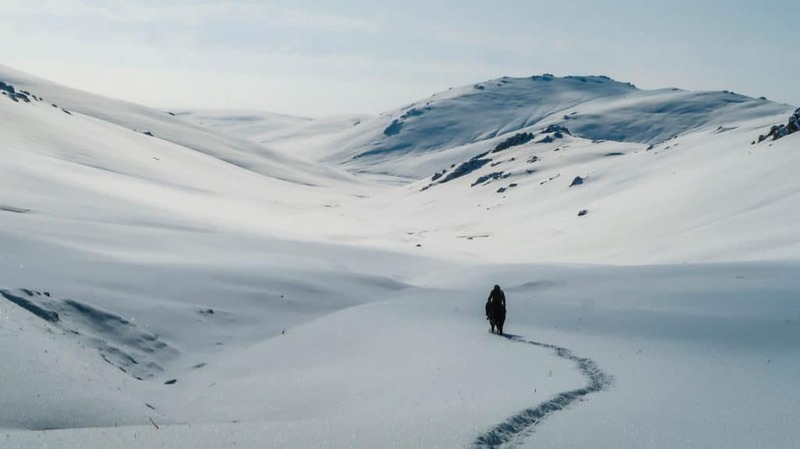 They don’t organize horseback treks to Song Kol lake all year round but you should consider contacting them to see if they organize treks there while you are in Kyrgyzstan. The prices for horseback treks offered by the CBT in Kochkor are a bit pricier than what other companies offer. That being said, they can also arrange longer tours to Song Kol (up to 9 days) and can organize trips for larger groups in a heartbeat. So if you want to ride a horse for more than a week to the lake and back, this is the company I would advise contacting. 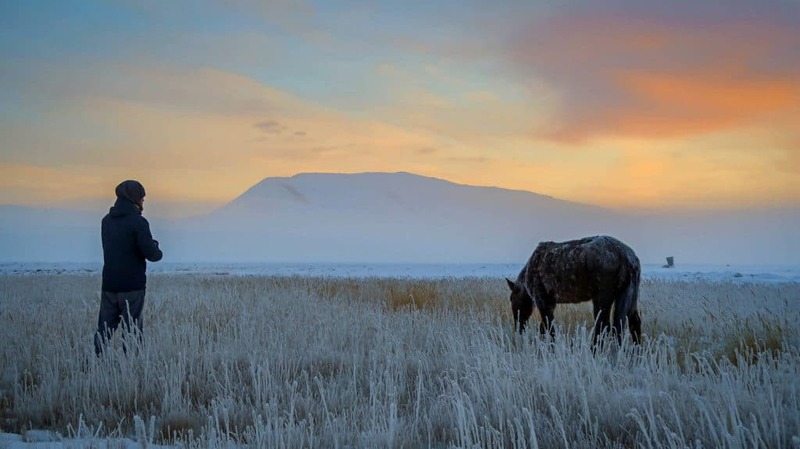 If you are staying in Kyzart or Kochkor, it will be possible to rent horses directly with your guesthouse or homestay. Most of the time, they will offer an even better price than most of the travel companies would. 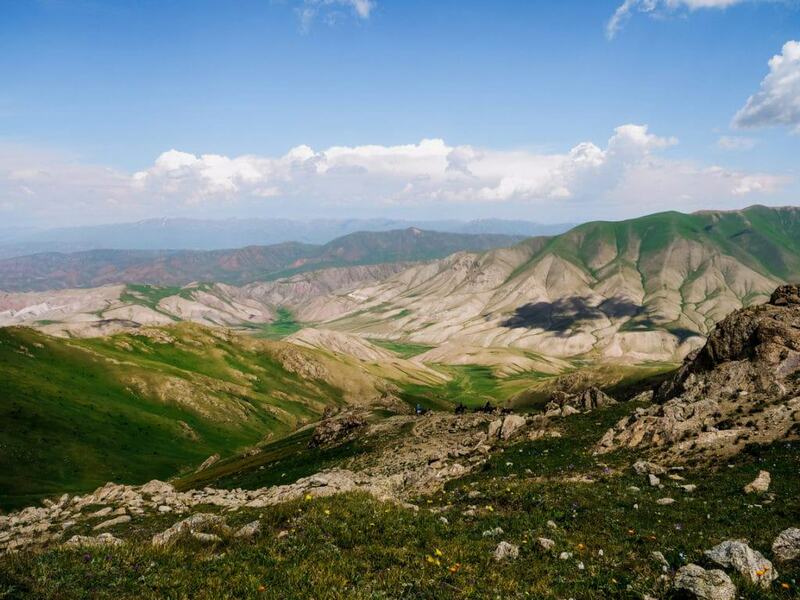 There are two starting points that are quite popular for horseback treks to Song Kol, those are the towns of Kochkor and the village of Kyzart. 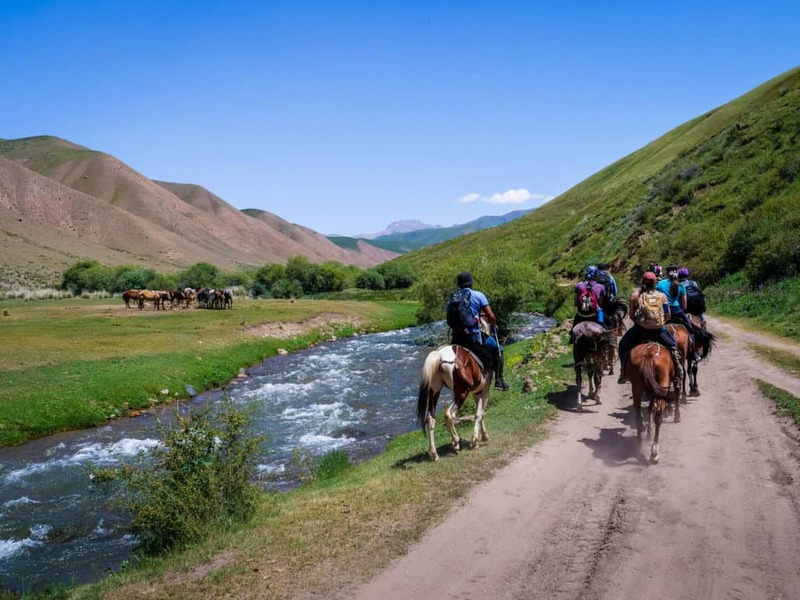 Kochkor is probably the most popular town to start a horseback trek to Song Kol as it’s much bigger than Kyzart and easily reachable from Bishkek. You can get a shared taxi or a Mashrutka to this town from the western bus station in Bishkek. A marshrutka ticket from Bishkek to Kochkor should cost around 350 som and the journey to get there from the capital should take less than 3 hours. If you have your own car or if you a renting one, driving to Kochkor will be a great opportunity to discover the beautiful Kyrgyz landscapes. If you have your own car or if you a renting one, driving to Kochkor will be a great opportunity to discover the beautiful Kyrgyz landscapes. I would suggest making a small stop along the way at the Orto-Tokoi reservoir. To get to Kochkor from Bishkek you will have to follow highway A365 towards the east. Since the highway splits in two at one point, make sure you follow the road that goes south as indicated in the map below. The distance between the capital and Kochkor is 196 km and it should take around 3 hours to get there. Where to stay in Kochkor before your horse trek to Song Kol? Kochkor has a good selection of Guesthouses and homestays where you could stay a few days before your horse trek. I wouldn’t recommend staying there too long however as the town in itself is not super interesting. The one thing I would recommend seeing there however if you have a bit of time is the Sunday morning animal bazaar. We highly recommend this guest house because it’s located away from the noise of the city. Although this guesthouse is a bit outside of the city center (4 km), it’s still close to a lot of good restaurants and small convenience stores. If you arrive in the center of Kochkor, do not hesitate to contact the owners and they will gladly arrange a taxi or come and pick you up. The rooms in this guesthouse have very large windows so the rooms can be full of light during the day. The beds are also very cozy and the owners cook very delicious food. This guesthouse is colorfully decorated with traditional Kyrgyz rugs. The rooms are quite comfortable and they have super cozy beds. The breakfast is very good and even includes pancakes and eggs. 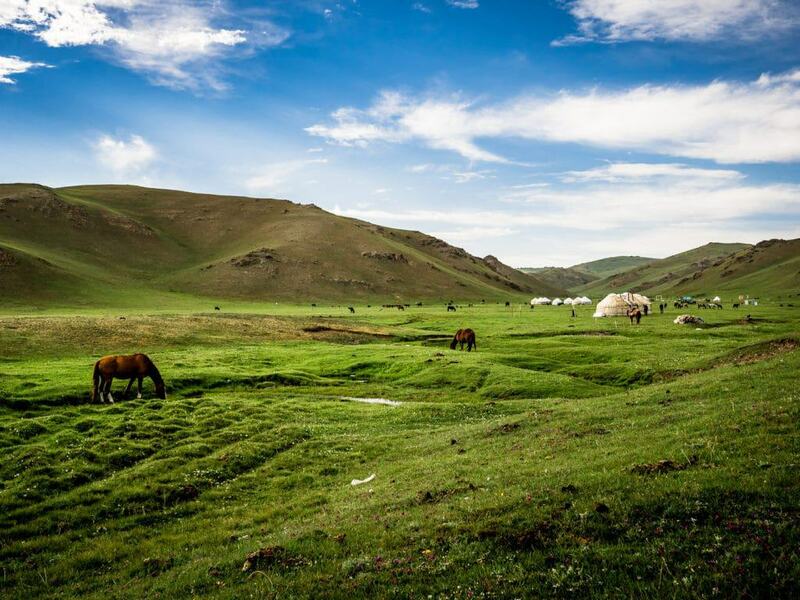 Kyzart is also a popular destination for horseback treks to Song Kol. Because this small village is closer to the lake than Kochkor, it also serves as a very good base for mountain hikes. From Kyzart, it takes about two days to reach the lake by horse. The ride is quite pleasant as you go through a pristine valley called the Kilemche valley and you also cross a few rivers along the way. From Kochkor, it’s possible to hitchhike or take a taxi to Kyzart. You can easily get to Kyzart by shared local taxi for less than 2 USD. If you want to pay for the whole taxi instead of waiting for it to fill up, you will pay at least 10 USD. You will be dropped off on the main road at the junction for Kyzart. You can then walk for about 10 minutes towards the village itself. Before you really reach the main village area you can take the first street to your left and you will find most of the guesthouses. They can all arrange horses to take you up to the lake. If you go to Kyzart with your own car, you’ll have to reach Kochkor first (see above). I would suggest driving carefully on the road between Kochkor and Kyzart because it has quite a lot of potholes and is not so well maintained. To get there, simply follow highway A367 towards the south-west for an hour and a half and you’ll reach the small village. Where to stay in Kyzart before your trek to Song Kol? Kyzart is much smaller than Kochkor and also has a lot fewer guesthouses. However, it still remains my favorite place to start a horseback trek to Song Kol from. It feels much more untouched and idyllic and I would strongly advise you try to organize a horse trek to Song Kol from this village. The guesthouses are all located in the first big street on the left when you go from the highway to the village. 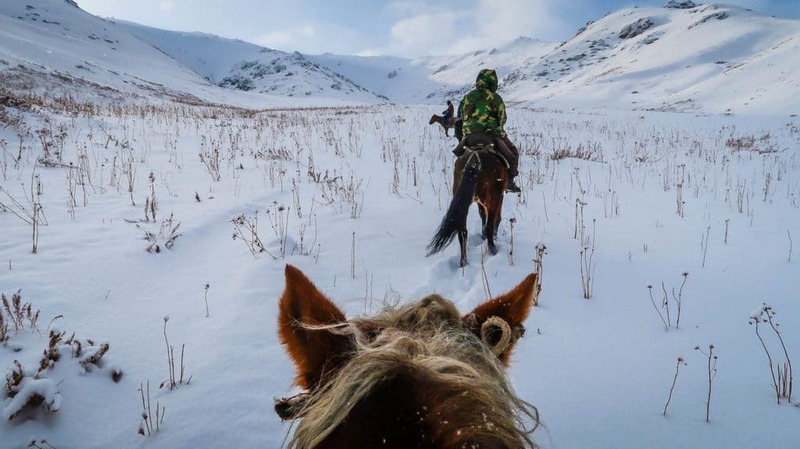 Riding a horse to Song Kol in winter is relatively safe providing that you have a good guide, good horses, proper equipment and warm clothes. I would strongly advise not going there alone as that could be very dangerous. 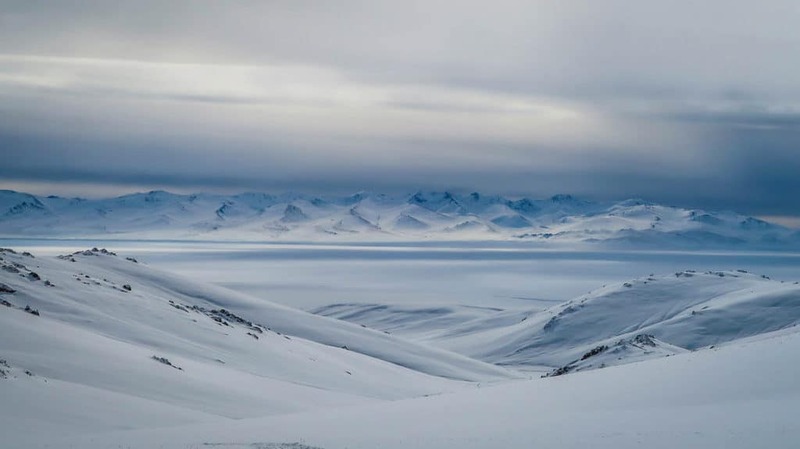 Temperatures during winter can drop to -30 C (-22 F) in the evening in the mountains that surround the lake. 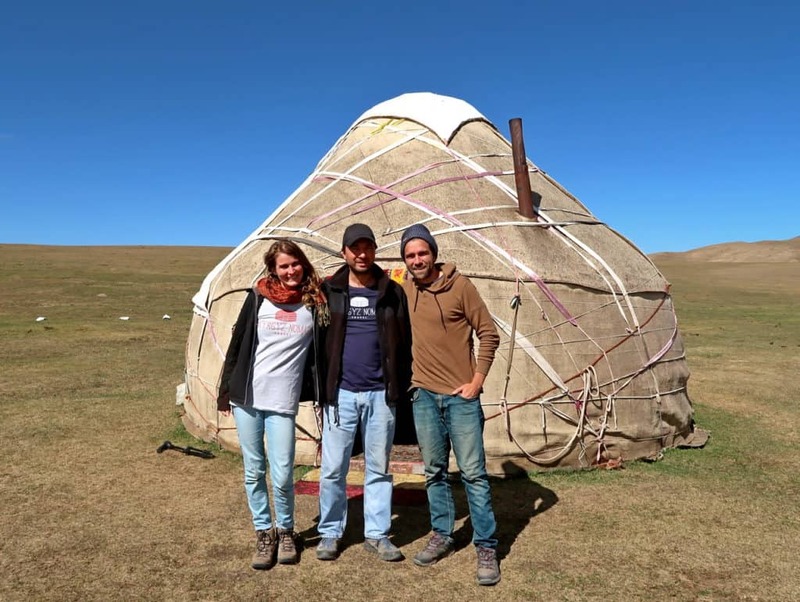 It’s important that you reach a yurt camp before the end of the day and that can only be done if you are going with a reputed guide or company that has organized tours like this in the past. 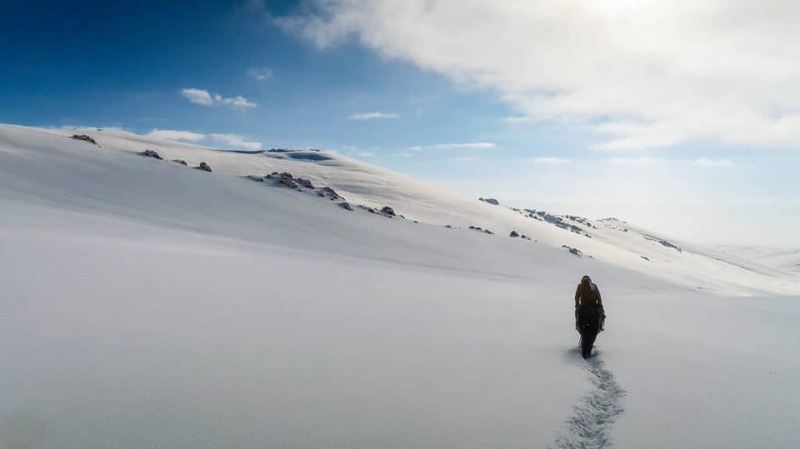 Even if there is a certain measure of risks associated with going there in winter, it still remains a beautiful and unforgettable experience. It’s the best way to discover the frozen beauty that surrounds the lake and the best time to meet the fishermen that stay all winter on the shores of the lake. 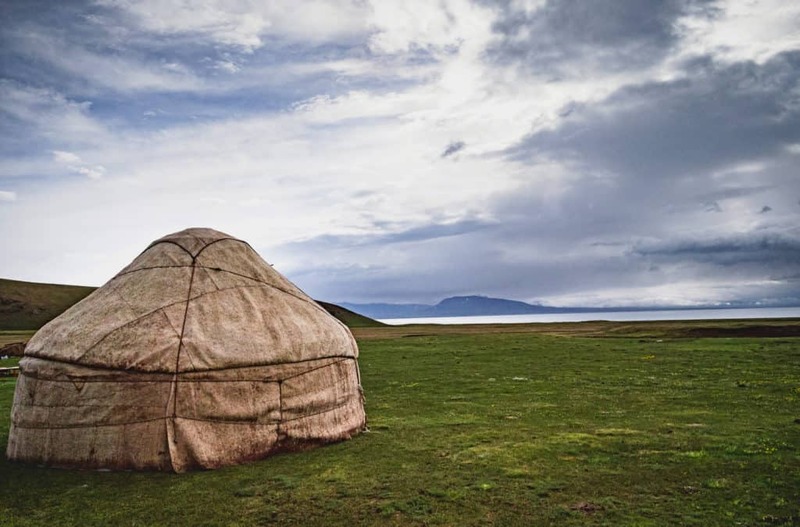 Going to Song Kol during the colder months of the year is a lot less popular, so there won’t be many yurts to be found on the shores of the lake. Because of this, I wouldn’t suggest organizing your trip there independently and trying to reach the lake by yourself. It is of utmost importance that you go there with someone. If you would want to reach this lake in winter, I would advise contacting Kyrgyz Nomad and going on a trek with them as I did with my brother last winter. Again, I want to state that reaching this lake in winter can and should only be done in the company of an experienced guide. Be safe. Have a look at the equipment we recommend for your trip to the mountains of Kyrgyzstan. If you go there during summer, there will be plenty of camps around the lake. They are all operated by different travel organizers and families. 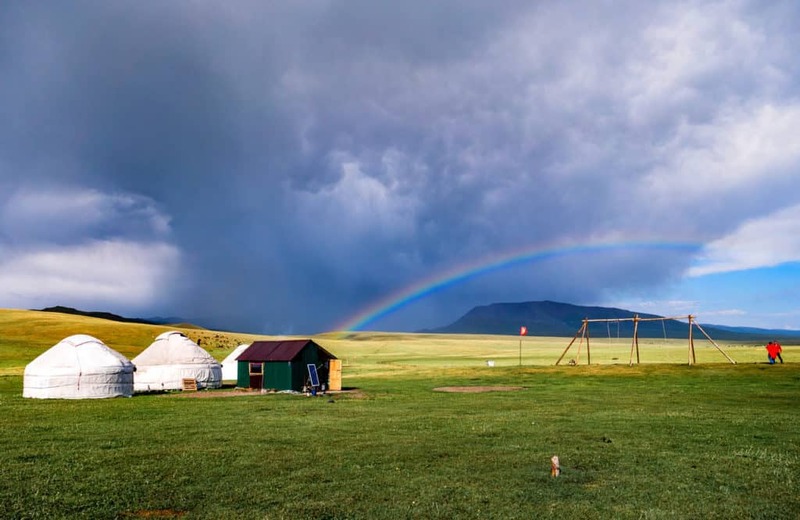 You can arrange your stay in these yurt camps ahead of time with your tour operator or directly with the yurt owners upon arriving there. 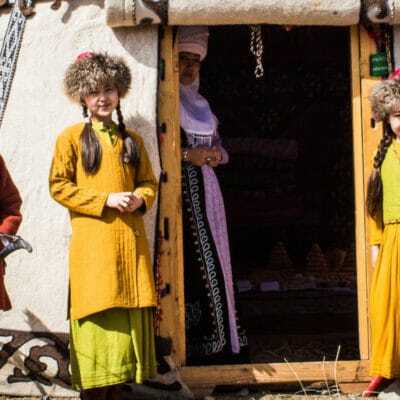 If you prefer to arrange your stay ahead of time you could book a yurt in Yurt Camp Azamat. If you visit the lake during winter, it might be a bit trickier to find yurt camps around the lake. 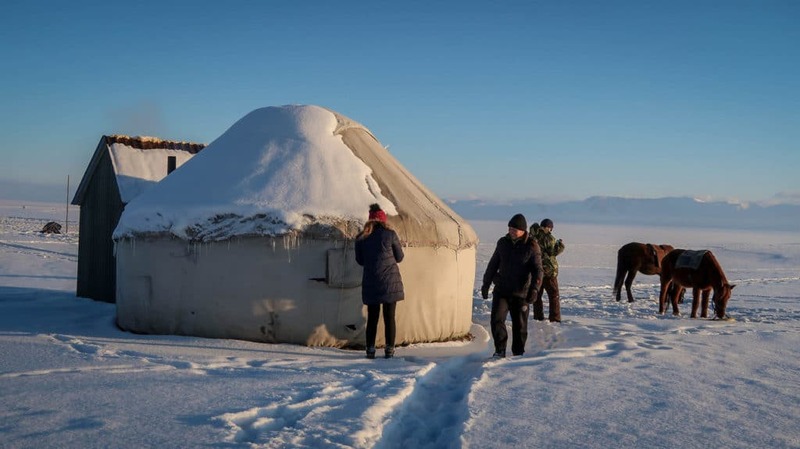 Some owners of the guesthouses in Kyzart keep some yurts around the lake even during winter but it would be preferable to contact them ahead of time just to be sure. 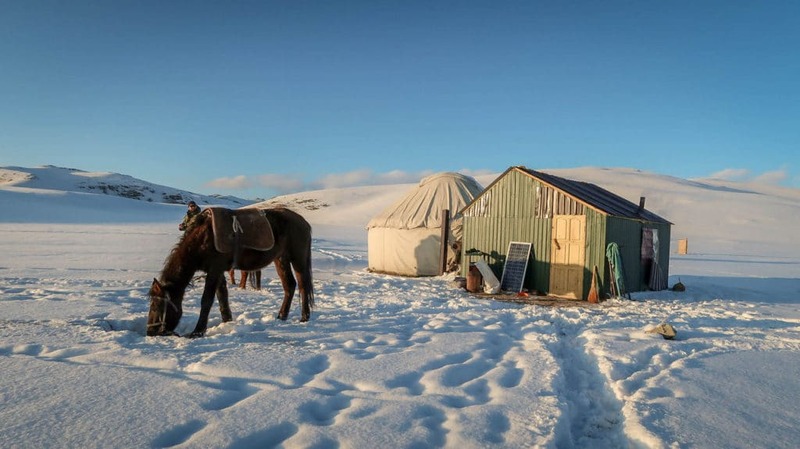 By booking your winter horse trek to the lake with a reputed company, you will be assured of sleeping in one of the few yurts that remain permanently next to the lake. I hope this guide will help you have an awesome horse riding adventure to lake Song Kol. You will surely enjoy the beauty of the mountains there as much as we did. If you have additional questions, do not hesitate to contact us. Have a great trip to lake Song Kol! * This article contains some affiliate links and If you book your accommodation or purchase one of the recommended products through the links in this post, we’ll receive a small commission at no extra costs for you. This way you’re helping us writing more informative and awesome guides like this. Thank you!